I know. I don't look like a Reis. I feel like one though. What would your name be if you had named yourself? 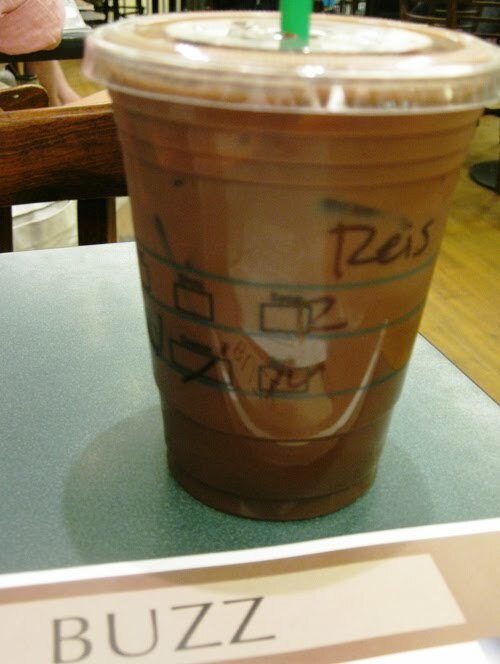 The expectant moment when the barista asks, pen in hand, "Your name?" The field is wide open! My name? I tap my front teeth. Today? And I squint into the distance. Look back at the barista and hesitantly say, "Starr," then with more certainty I nod to confirm "Yes, Starr. My name is Starr." And on one gloomy, cloudy Wednesday my name was "Jane." On a traveling Friday, I was cruising Atlanta airport and my name was "Alex." My favorite, though, when I'm in funky clothes perusing art magazines at Barnes and Noble? I'm Sam. So tell me, my quiet reading friend, What is your name today? Skunk----------they won't let me shower with this wound. HA I'll show them there are ways around that! Oh these are good, you guys are good. I might have to go with "Emmerson" on my next beverage. I would be afraid I would forget what name I gave them!! !